This one took some time, but we are finally back with the not so latest One+ one, which never settles. There are phones which come out from nowhere and become the iconic devices, such as iPhone did when it was first unveiled. Though OnePlus One might not have the backing such as iPhone had from Apple, but by no means is it a road blocker for this beast. Either talk about its monstrous 5.5” screen or 3GB of RAM, take the 3100mAh battery or 13+5Mpx camera, all topped with its 2.5GHz quad-core snapdragon processor makes it a hell of a device. It doesn’t end here, the internal storage of 64GB, yes you’ve read it right, 64GB of internal storage is a sham for any device and the price at which you get is astonishing, just 22K. 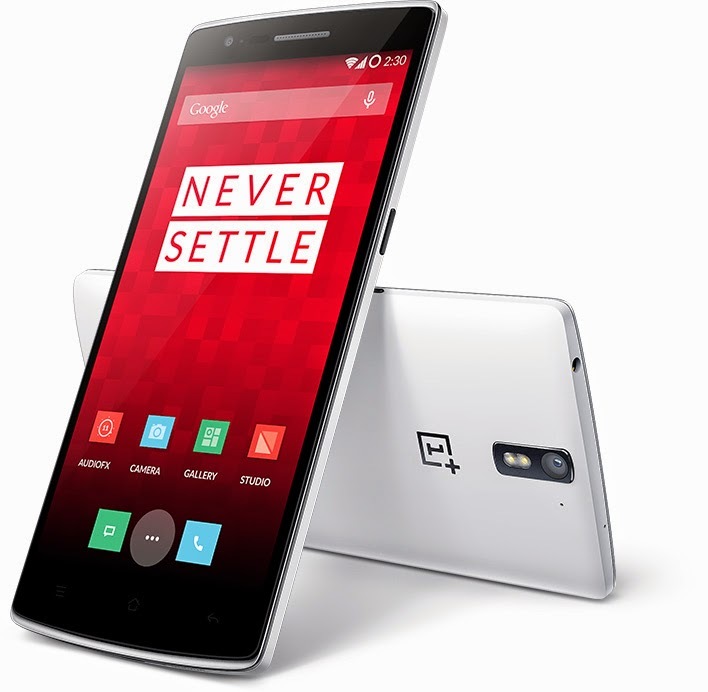 By the standard of its specs, Oneplus one certainly claims the crown undoubtedly, but it’s not only with its tech specs, but the performance is a mainstream too. It’s powered by Android, Cyanogen brings the features you love while giving you the freedom to mold your mobile domain. Options like Quiet Hours, an enhanced home screen, and a configurable Quick Settings panel are just a few ways you can control how you and your One connect.